Do you have a crack in your tooth? Are you experiencing tooth pain? If so, you may have a root canal infection. One of the most common causes of root canal infection is a tooth crack. When a tooth crack extends down into the heart of the tooth, bacteria can easily seep in and cause an infection in the tooth pulp—the blood vessels, connective tissue, and nerves in the heart of your tooth. If you have a root canal infection you will likely experience severe tooth pain, swelling, or tooth discoloration, in addition to other symptoms. How do you know if your tooth crack is big enough to cause a root canal infection? Tooth cracks come in many different sizes and severities. Smaller tooth cracks that only affect the outer layer of the tooth, or tooth enamel, usually do not require root canal therapy because they do not reach down into the center of the tooth. 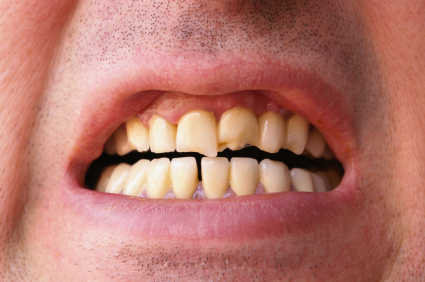 Smaller tooth cracks can often be mended with porcelain veneers or other restorative dentistry techniques. Larger tooth cracks that extend from the chewing surface down towards the tooth root have a greater likelihood of causing a root canal infection. If you have a large tooth crack, it is important to see Orem endodontist Dr. Jon Jenson as soon as possible so that he can assess your situation. When a tooth crack is ignored, it can cause your tooth to entirely split into pieces. Split teeth are a lot harder to save, but sometimes can be salvaged with root canal therapy. If you have a cracked tooth, root canal therapy can save your natural tooth and prevent against further decay. Endodontist Dr. Jon Jenson will thoroughly clean out the infection, fill, and seal the tooth. A dental restoration—most commonly a dental crown—will be bonded over the top of your natural tooth to provide greater chewing strength and seal against invading bacteria. To learn more about the benefits of root canal therapy, or to see if your tooth crack may be causing root canal infection, contact Cascade Endodonticts in Orem to schedule an initial consultation with Dr. Jon Jenson.